I think that we all know the Kylie Jenner lip kits? I never tried these, but they are still high on my wishlist. But what I well tried out is a look a like kit from primark. It’s from the matte collection and this set contains a lip liner and a liquid matte lipstick. There was so much choose… But I choose for the color flutter. Are you curious or these lip kits from the primark are going to become as popular as the onces from Kylie? Or these set are going to be that popular? No, I don’t think so, but I can already tell you that this kit is a good budget version! In this kit you find a lip liner and a matte liquid lipstick. They both come in a normal but handy packing. Applying these products on your lips is so easy and quick. The liner is creamy and the lipstick is so easy to bring on. And you only need 1 layer of it because the pigmentation is so good! So let’s have a look to the color and the amazing pigmentation…. With the swatches you see on the left side the lipstick and at the right side the liner. As you can see is from both products the pigmentation fantastic after just 1 coat. And this also on the lips, as you can see is the color so pretty! Only I have the feeling that my dry lips are because more visual… But the lipstick itself doesn’t dry out my lips. So bonus points for primark! The matte collection is available in different nice colors. I have the color flutter. It are both fantastic and good products. The color stays perfect on his place. So if you ask me then there aren’t any negative things about this! This lip kit is just amazing and not that expensive. So I would say if you find 1 or maybe more colors from this collection pretty? Go for it, you won’t regret it! 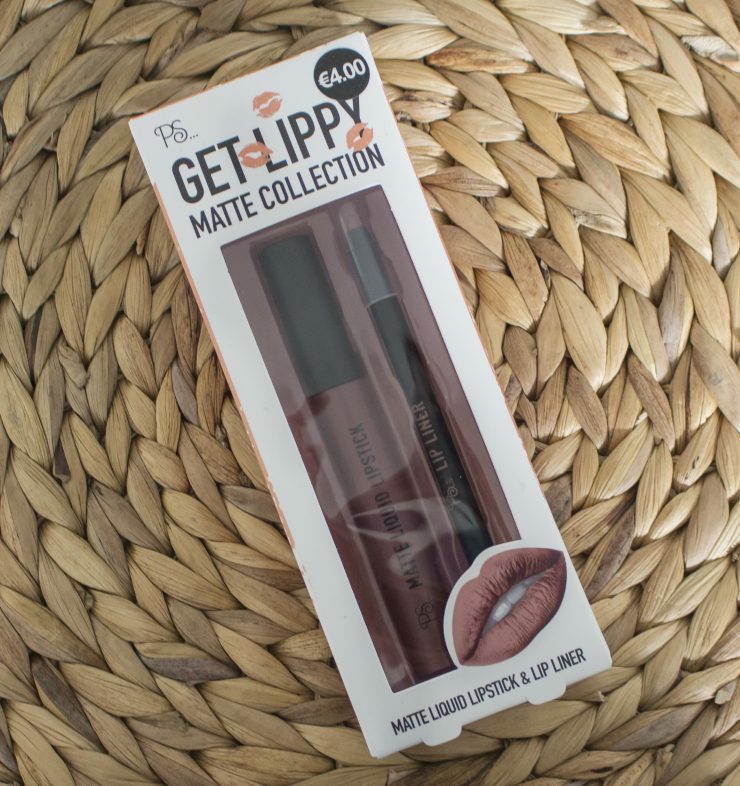 Get lippy matte collection from primark is available in different colors and for a set with lip liner and matte lipstick is the price €4.